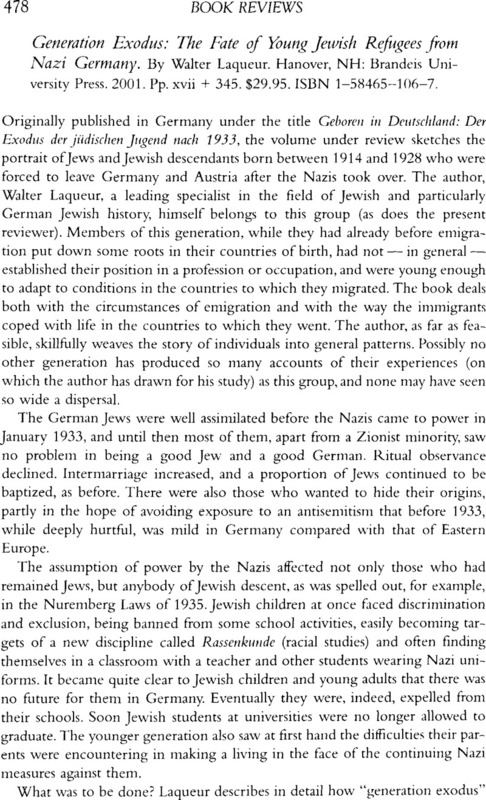 Generation Exodus: The Fate of Young Jewish Refugees from Nazi Germany. By Walter Laqueur. Hanover, NH: Brandeis University Press. 2001. Pp. xvii + 345. $29.95. ISBN 1-58465-106-7.